Blakes Pride Fruiting Pear – Pyrus Communis Zone 5-8 Mature Height: 12-18 ft. Mature Width: 8-10 ft. Growth/Year: 2-3 ft. Sunlight: Full Sun Soil Conditions: Adaptable to various Soils. Pyrus Communis is among one of the most luscious and delightful trees that there is. The pear tree can reach heights of up to 25 feet and reach outward spans of up to 20 feet. 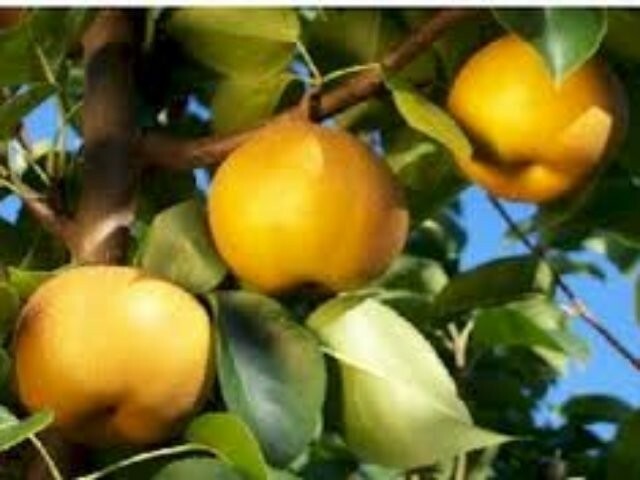 This tree can produce up to 2 bushels of pears in one seas.